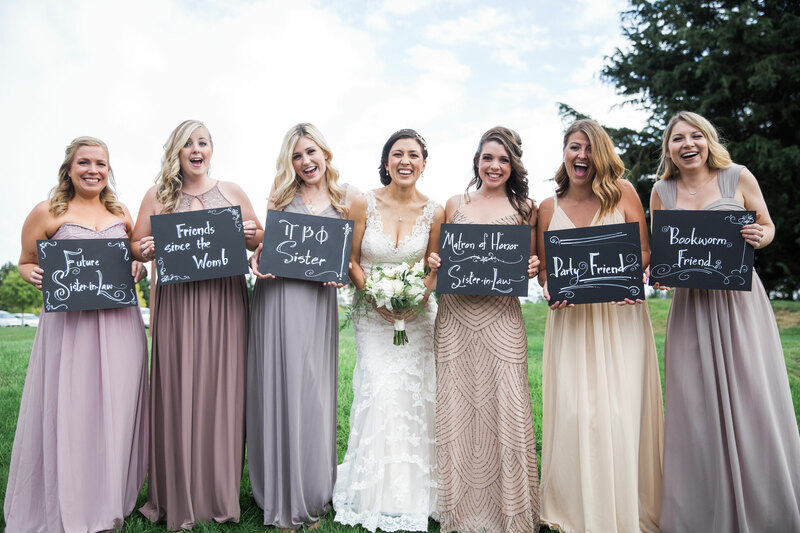 The Bridal Party | Rallying around the Bride & Groom for their big day was a strong group of David & Nicolle’s friends and family . 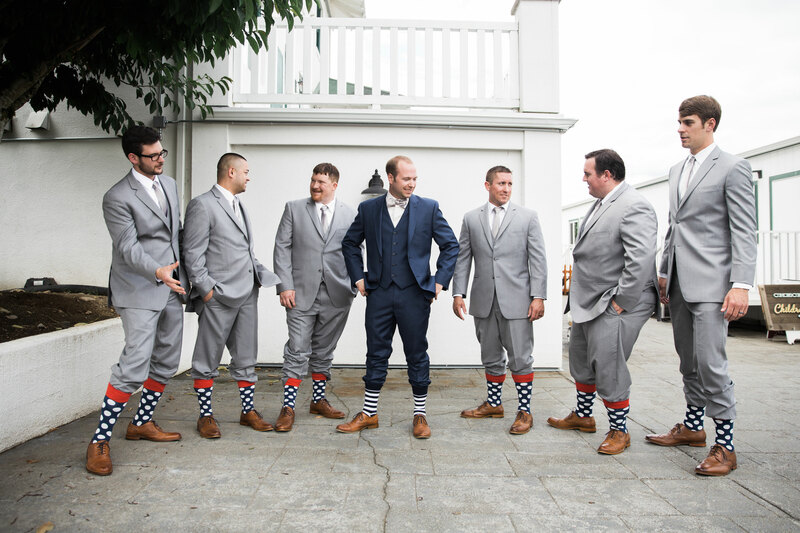 Between silly socks and unique dresses, this bridal party certainly lacked no personality. 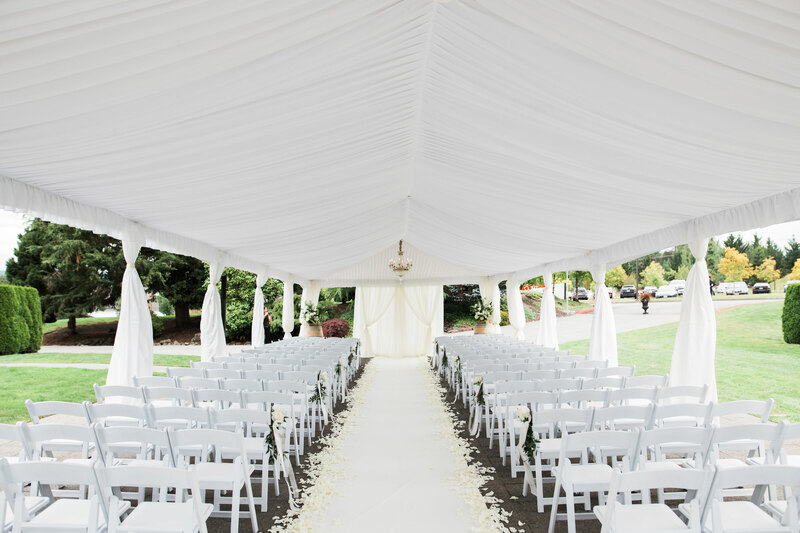 The Wedding Tent | The wedding tent was draped with white fabric & a chandelier was hung to help create a simple, yet stunning backdrop for the ceremony. 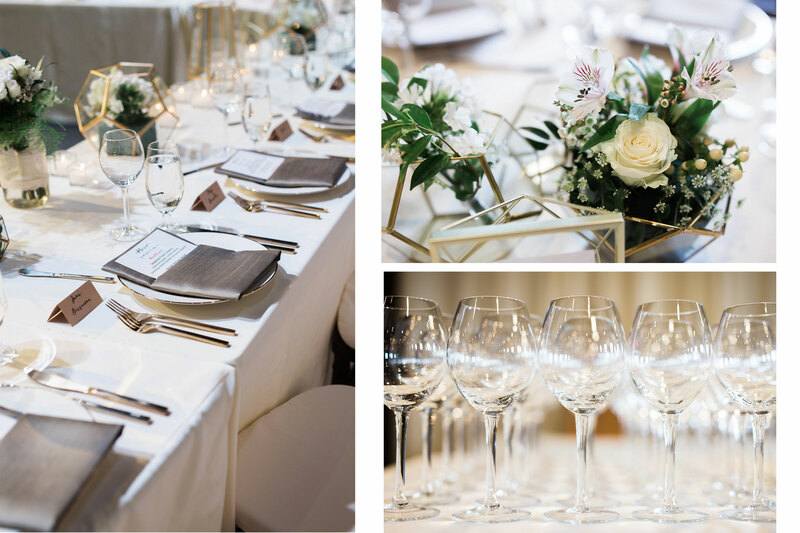 The Details | Each component of the wedding was deliberately executed to add beauty and functionality to the event. 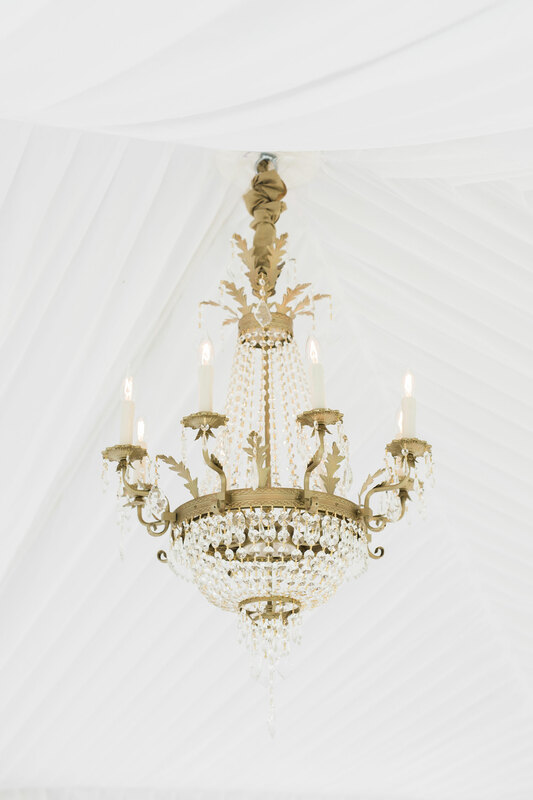 The chandelier was custom built by TLB Events to give a unique and elegant focal point to the wedding tent. 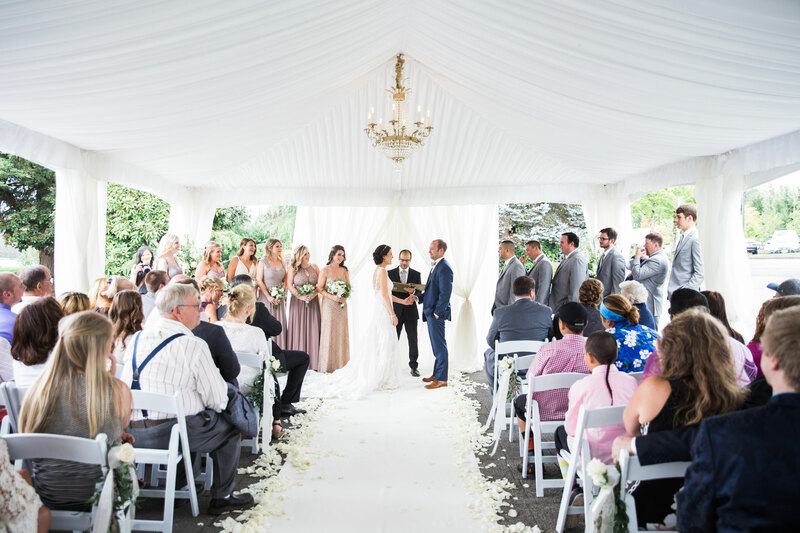 The Nuptials |Guests filled the tent and witnessed David and Nicolle profess their love and commitment to one another. 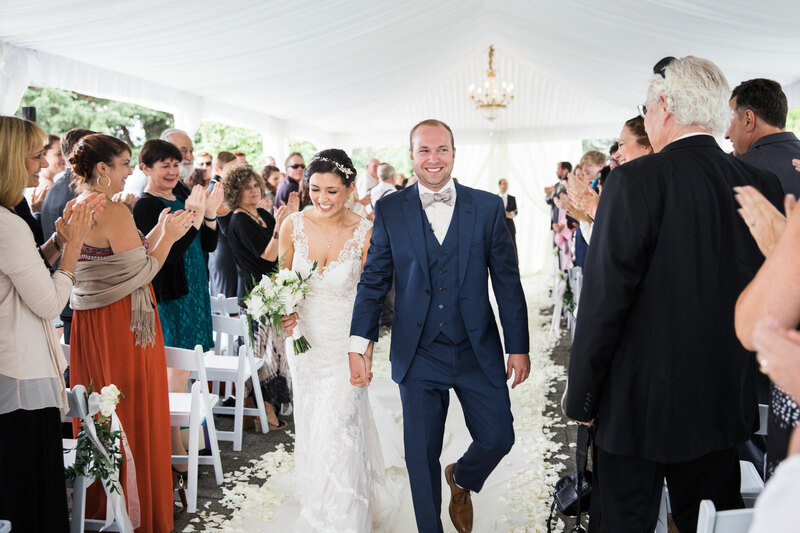 Announcing Mr. & Mrs. | Joy filled the crowd as the couple exited the wedding tent as Mr. & Mrs. 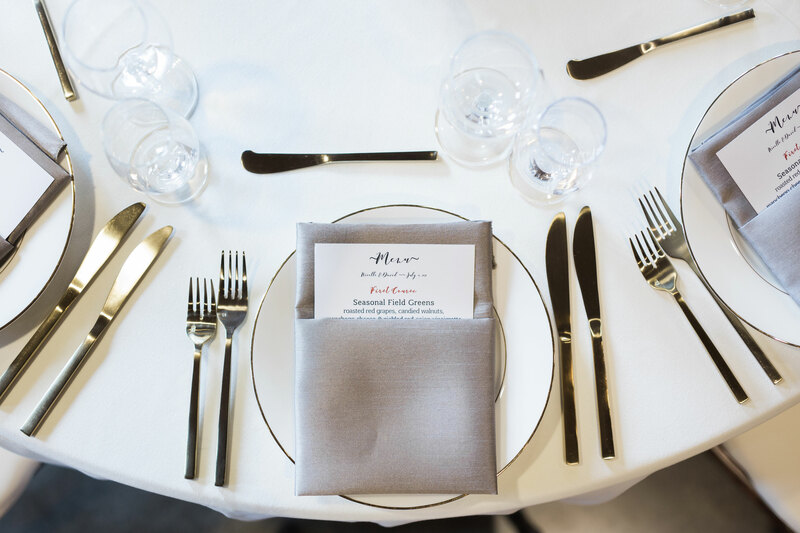 The Plate | The table settings emphasized clean lines and geometric shapes. 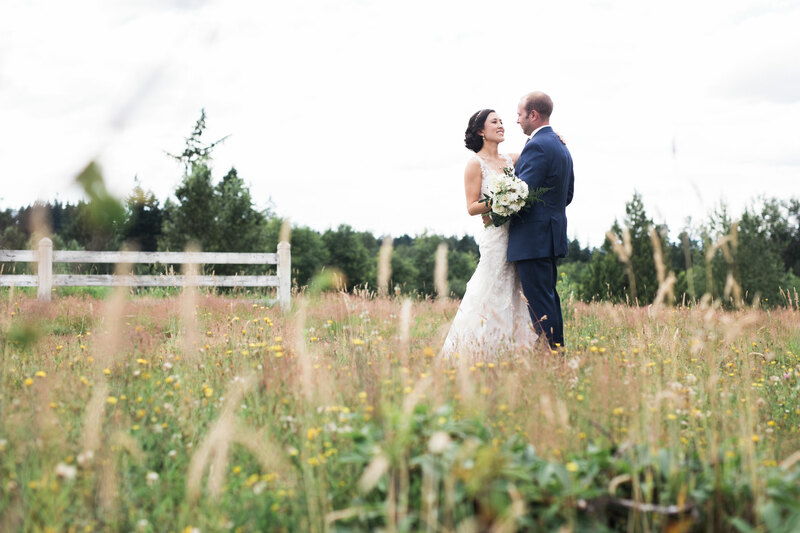 Touches of gold and fresh flowers kept things feeling warm. 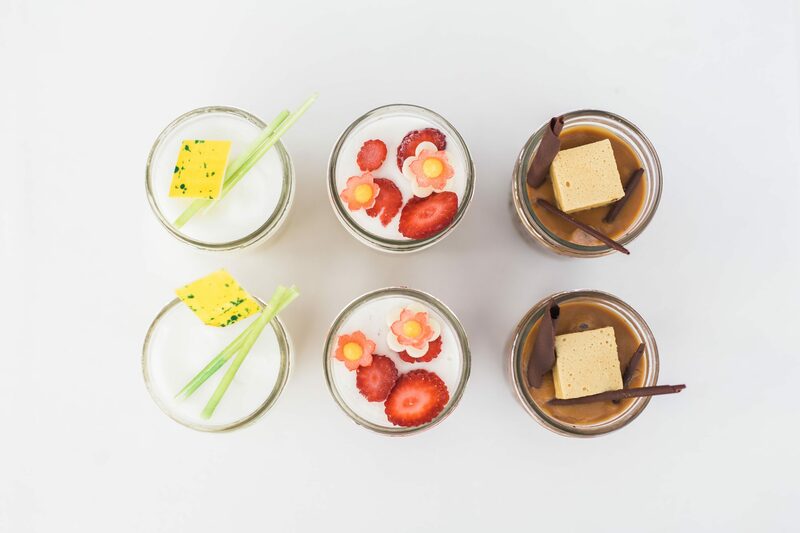 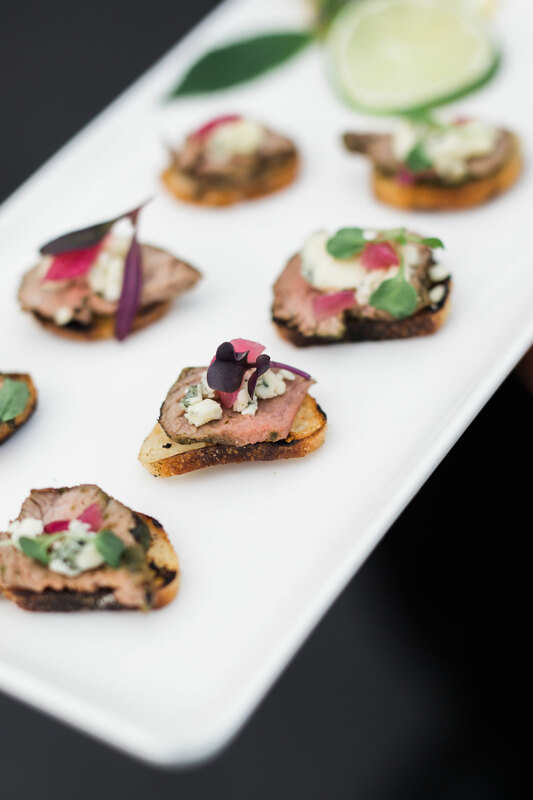 The Bites | Artfully plated & tastefully assorted, each bite was harmoniously assembled to create a beautiful meal. 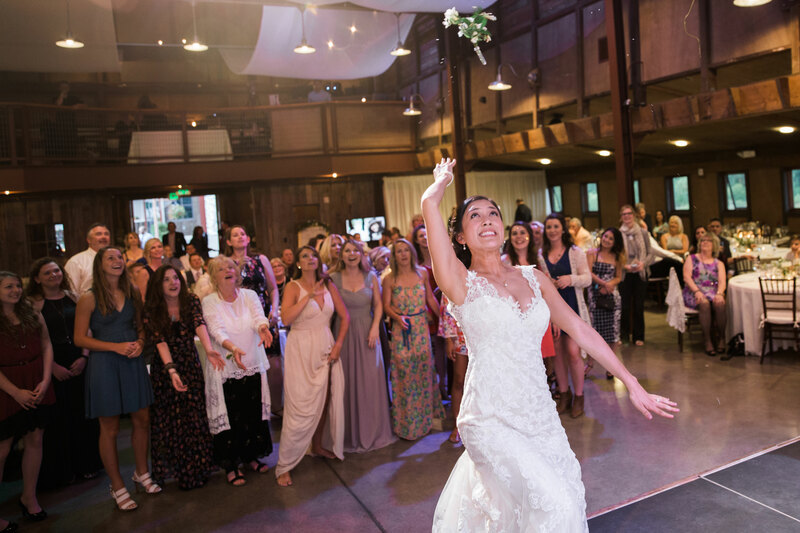 The Games | Lawn games were created and put out to keep guests engaged and amused while the ceremony transitioned into the reception. 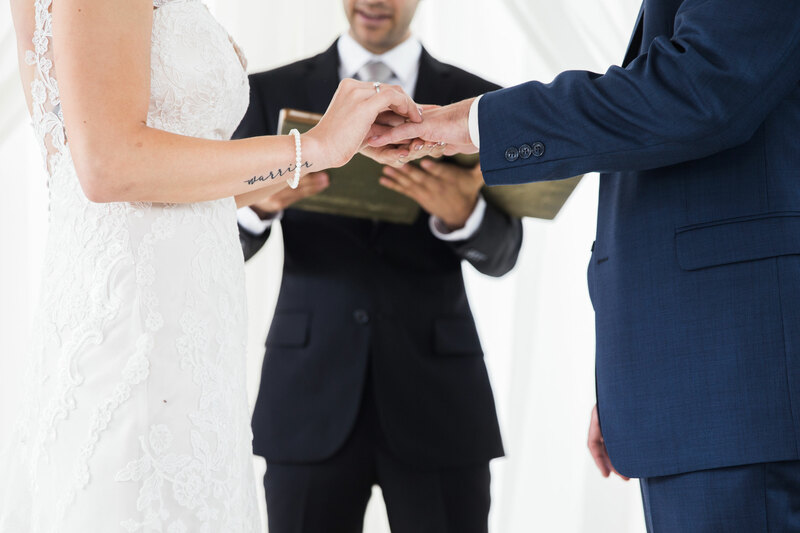 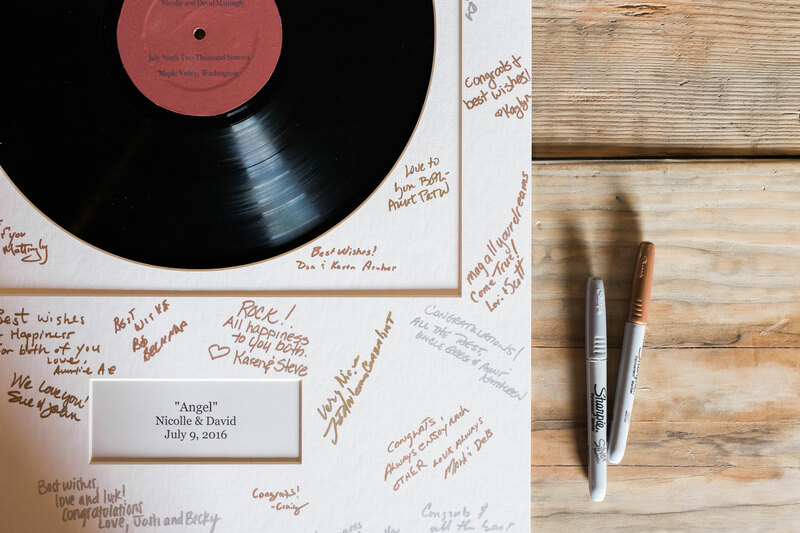 For the Record | Guests were encouraged to sign a specially made record as a keepsake for the couple to remember their big day. 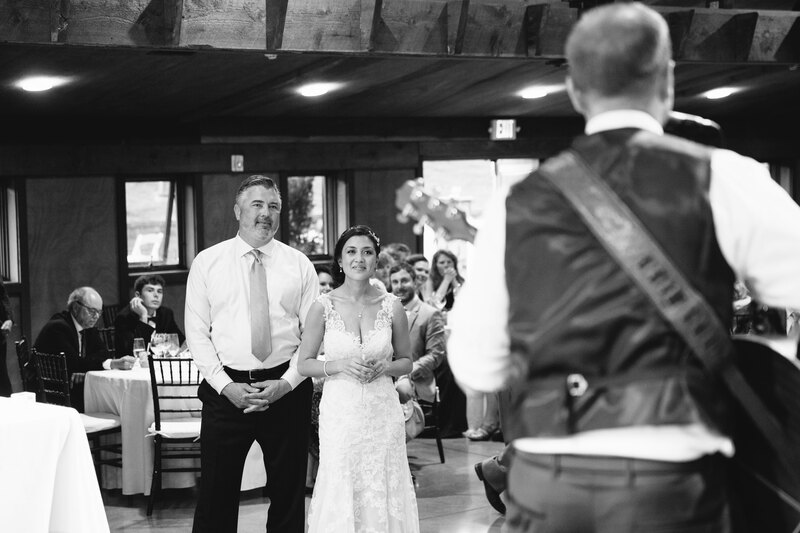 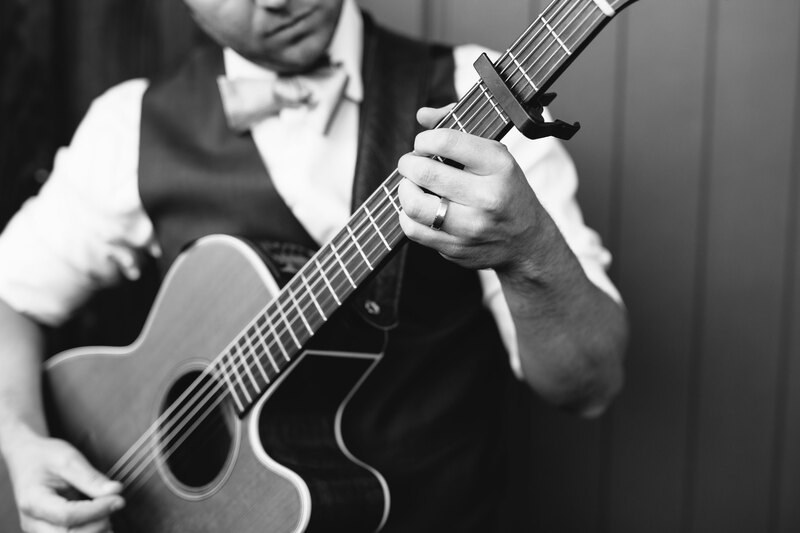 A Surprise for the Bride | David serenaded his new bride with a song. 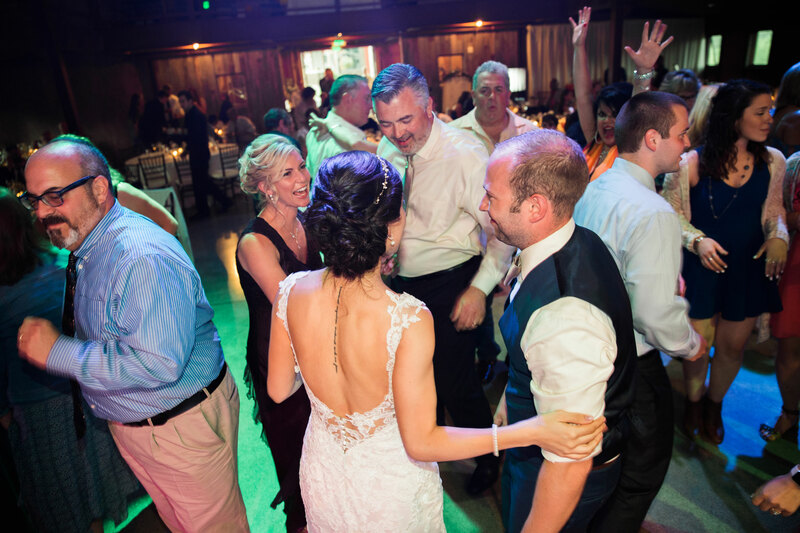 The Reception | Guests congregated and danced as they enjoyed some wedding traditions and celebrated with the newly married couple. 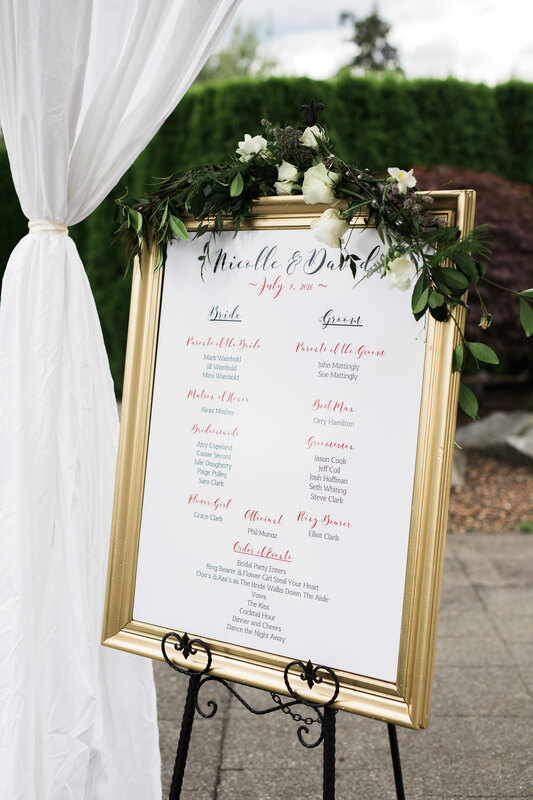 Meant to Bee | As a token of appreciation, honey was passed out as a favor to all the guests. 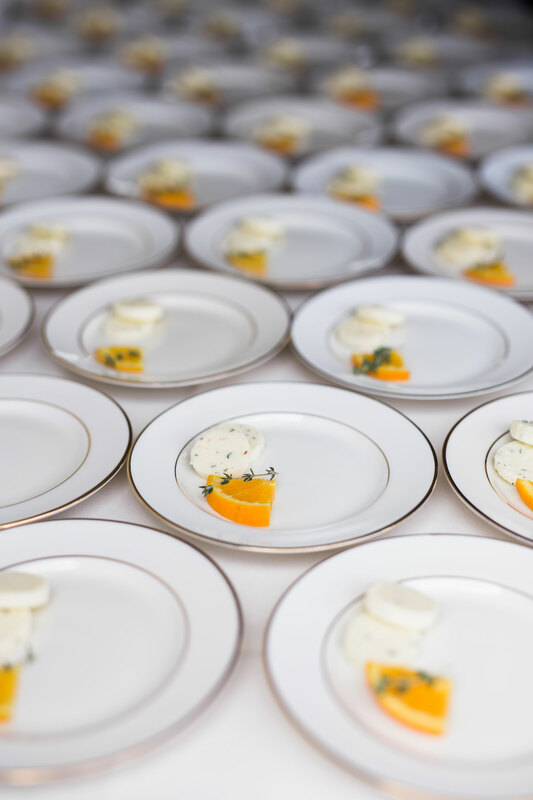 The jars were fittingly labeled, ‘Meant to Bee.’ The labels carried the theme of the wedding and were pun-fully perfect. 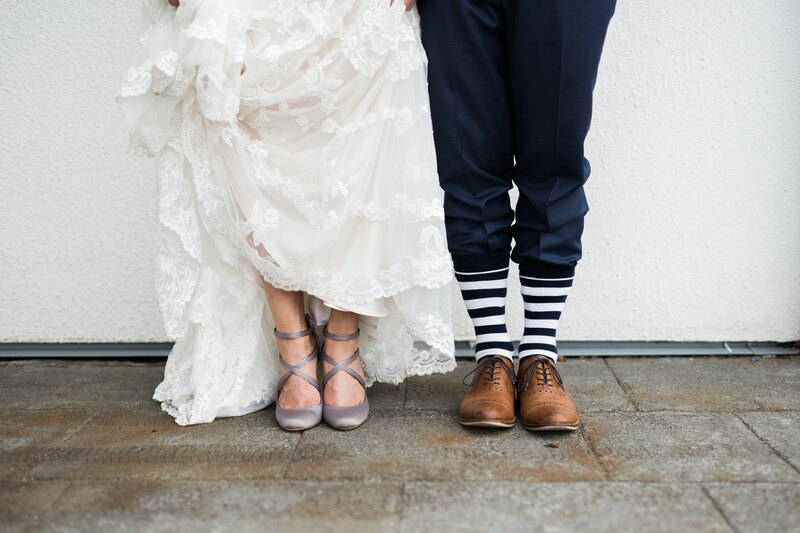 Lavender Send Off |Instead of the traditional ‘rice send-off’, David and Nicolle opted for something a little more unique. 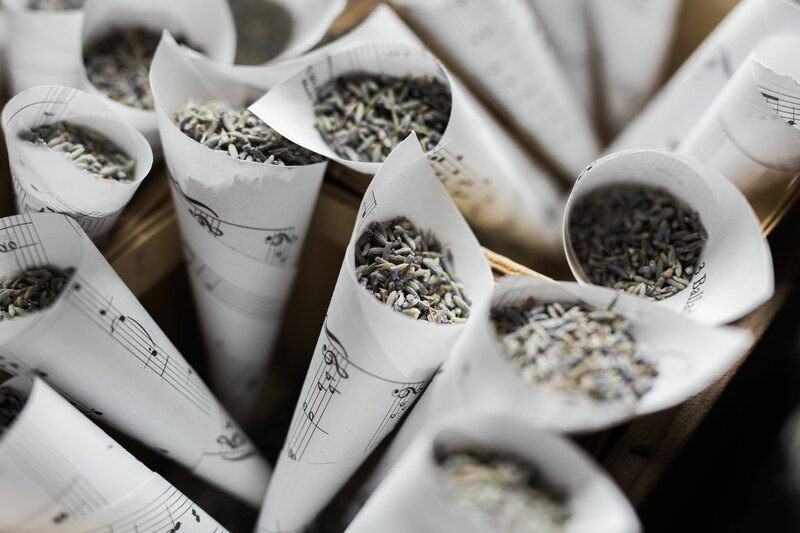 Beautifully wrapped in music sheets, lavender was used to toss towards the couple for a fragrant exit. 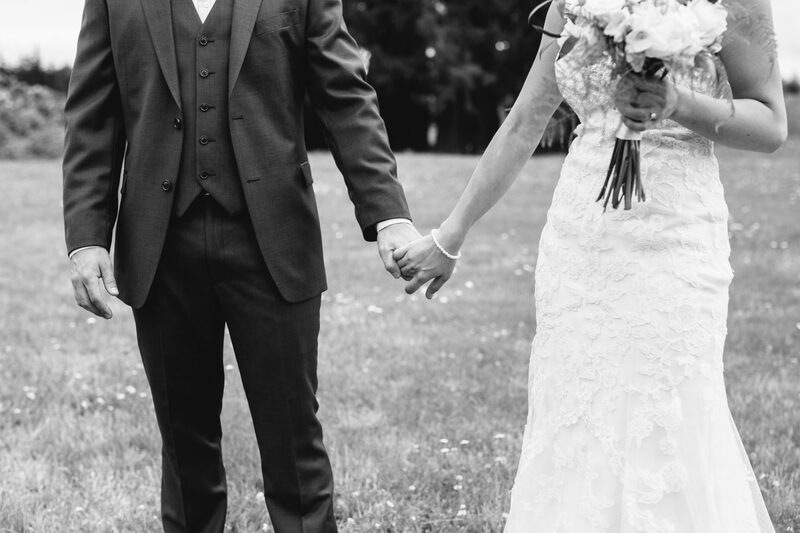 A Chapter Begins | Congratulations, to the beautiful couple!